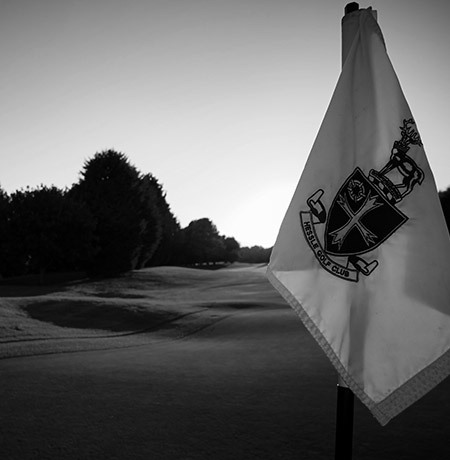 We are proud to boast over 100 years of golf and the character of the club is unmissable. 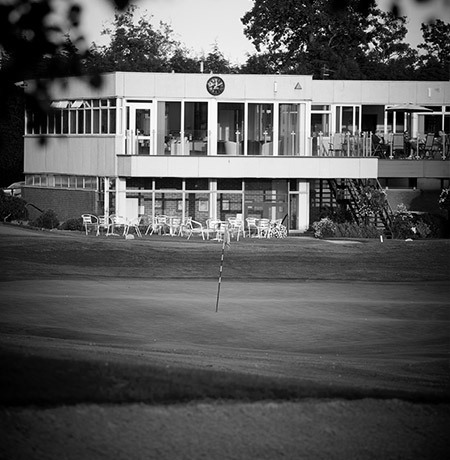 From a devastating fire to a major relocation, Hessle Golf Club has had quite the journey and looks forward to welcoming new faces, and recognising old ones. The Club, founded in 1898, was originally named the Hessle Tennis and Golf Club and occupied part of the old quarry at Hesslewood. 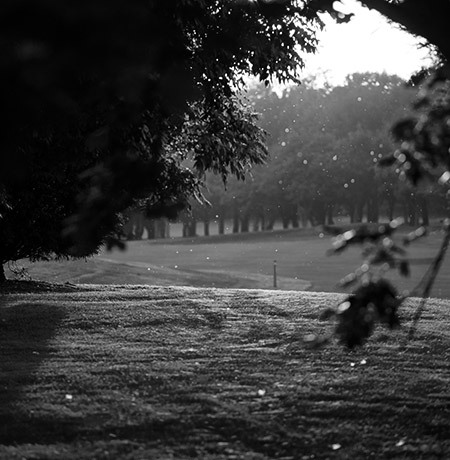 Golf was played on a six-hole course until 1912 when the golf section of the club moved to higher land attached to Hesslewood Hall. Nine holes were deftly constructed in a limited acreage on the undulating parkland to the south of the Hull-Ferriby road. Hessle Golf Club’s first proper clubhouse had been the main entrance to the Yorkshire Agricultural Show when it was held in Hull in 1923. This was a long and not unattractive timber construction which was easily divided into compact locker rooms for the ladies’ and gentlemen’s sections with, in addition, a main hall and bar. 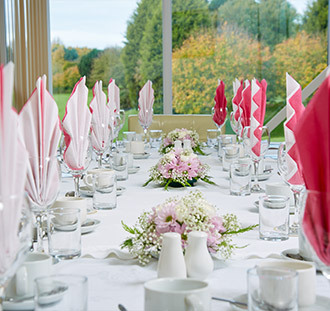 One of its most attractive features was the long, covered veranda, a popular spot on a summer’s evening offering a view across the course to the Humber and Lincolnshire. 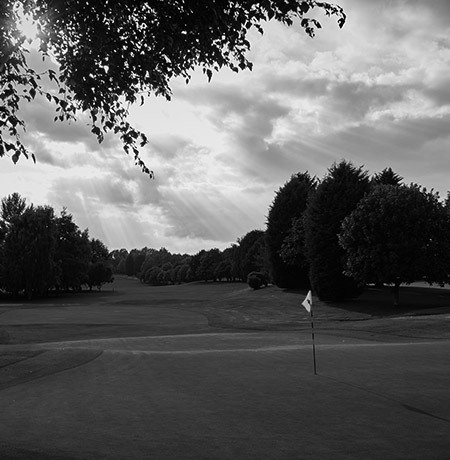 On 25 June 1929, the Hessle Golf Course Co. Ltd. was formed to purchase the land containing the existing nine holes. There was, at that time, great uncertainty as to the Club’s future. Money was raised from the sale of shares to members and to the owners of properties which bordered the course. In the early 1930s, land was leased on the north side of the Hull-Ferriby road so that a further nine holes could be added in 1935. Unfortunately, during the Second World War, the Club lost these new holes as they were ploughed up for the growing of cereal crops but, by 1948, the land had been returned to its former use and Hessle members could once more enjoy an eighteen hole course. 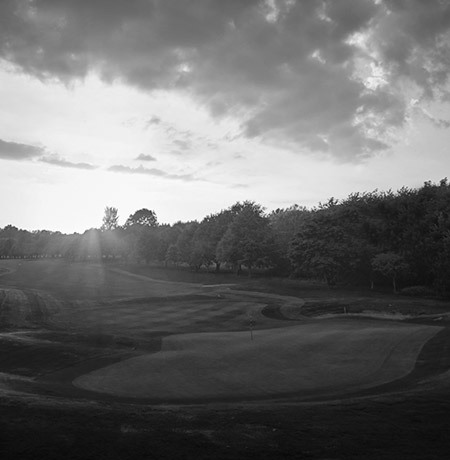 In due course, Hesslewood was assessed as Par 67, with seven par three holes and only one par five. Disaster struck on 7 June 1959, when after weeks of sunshine, the Clubhouse was totally destroyed by fire in less than twenty minutes. The members and committee reacted to this setback by setting up a large marquee on the practice green as temporary accommodation. In short order, plans for a compact, single-storey Clubhouse were approved and this was quickly constructed. 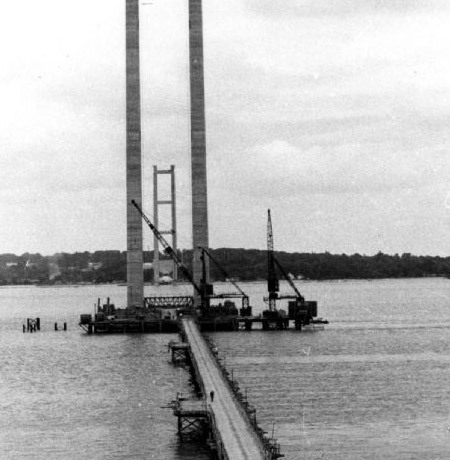 Rumours of a bridge to span the Humber had circulated for many years, with the site proposed threatening the Hesslewood course. In 1968 it became apparent that construction would indeed go ahead. The Club found itself in a precarious position and vulnerable to a Compulsory Purchase Order. 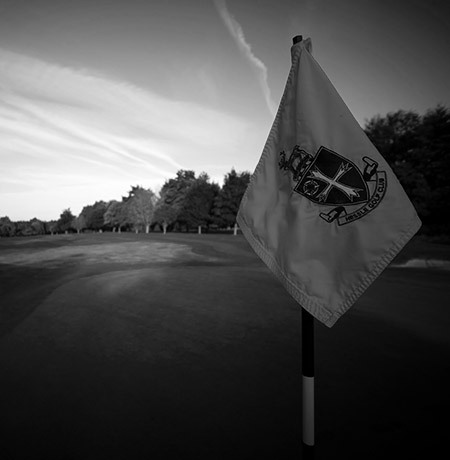 As a consequence, a formal Deed of Trust was established in 1971 by the Honorary Solicitor, Peter Martin, wherein a substantial majority of the shares of Hessle Golf Club Ltd. were held in trust for the members by the Trustee Directors. The Club and the Humber Bridge Board agreed to allow sufficient time for a site to be located and a golf course with a clubhouse to be constructed, while play continued at Hesslewood. 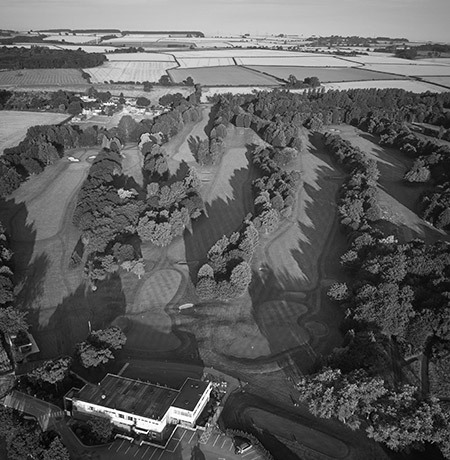 The new site for Hessle Golf Club was secured on 120 acres of farmland at Raywell in the summer of 1972 and Allis, Thomas and Partners were retained to design and construct the course. Their brief was for a golf course with a popular appeal and of some 6,550 yards tailored to the skills of a nine-handicap player. 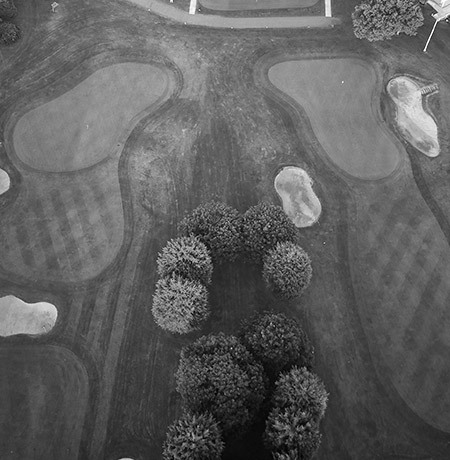 Landscaping began in December 1972 and greens, tees and fairways were seeded between May and June 1973. Between March and December 1973 some four thousand trees in addition to numerous shrub plantations and bulbs were planted. The plan was to give the finished course at Raywell as much time as possible to bed in before activities were transferred from Hesslewood. The new course at Raywell was declared completed and ready for the formal handover by the directors of Hessle Golf Course Co. Ltd. to the Golf Club. The event was marked by an informal nine-hole friendly match and a formal ceremony in the Clubhouse, at which an illuminated document was handed to the Club declaring the Raywell course ‘tested and proved’. George Walker, President of the English Golf Union unveiled a commemorative plaque in the new Clubhouse and officially declared the course open. The ceremony was preceded by an exhibition match between Mike Kelley (English International and Yorkshire Open Champion) and Geoff Drewery (East Riding Junior Amateur Champion) against Rodney Foster (former International) and Grahame Fieldsend (Hessle Professional). The switch to Raywell took place when the effect of a long drought was still evident on the newly-sown grass. 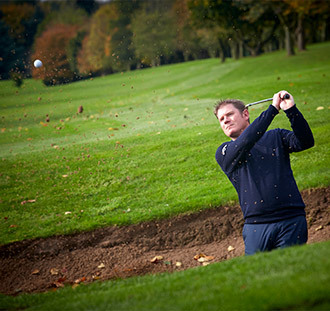 Conditions were such that players were instructed that ‘from tee to green, including rough, a ball MUST be played from a tee peg (excluding bunkers and the woods)’. Eventually, the weather relented and the course began to settle. Teeing-up and gathering flints ceased, the programme of tree planting continued, plantations thickened out, the poplars to the left of the fourth fairway grew sufficiently to act as a windbreak and with the prevailing wind thwarted, the trees in their wake began to develop and fill out. By the early 1990s it was clear that the drainage on the greens was no longer adequate. There was general degradation and ‘thatch’. Expert opinion recommended that the only long-term course of action was to replace all eighteen greens to USGA standard. The members supported this proposal, together with a project to redesign the approaches and surrounds of each green and the greenside bunkers. The result is that Raywell’s greens now need to be ‘read’ and present a challenge to all golfers, and the appearance of the course has been improved. 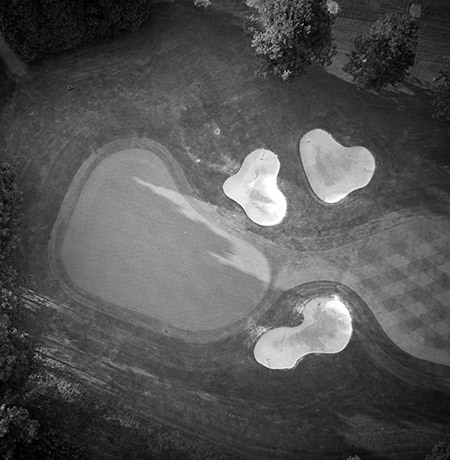 Work was done in two stages, with the final nine holes coming into play in the late spring of 1997. The Club celebrated its centenary in 1998 with a year-long cycle of events, a centenary brochure, tournaments and an official centenary dinner, with guest speakers Alex Hay and Peter Hick. True to its traditions of careful husbandry, the club established a centenary fund and achieved all it wished within budget, much to the satisfaction of the members! 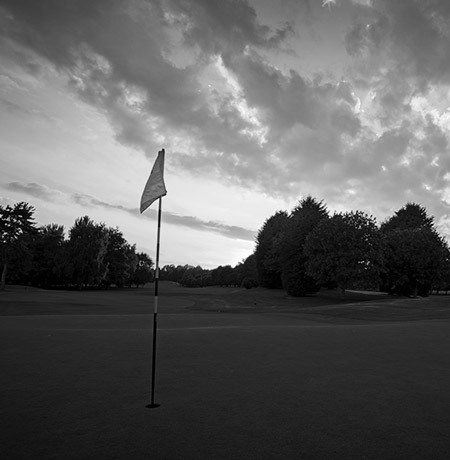 By 2005 the quality of the original design and the hard work put in by members, ground staff and successive Greens’ Committees could be fully appreciated. In particular, the variety and landscaping of the many trees provide a range of contrasting colour which never fails to impress members and visitors alike. 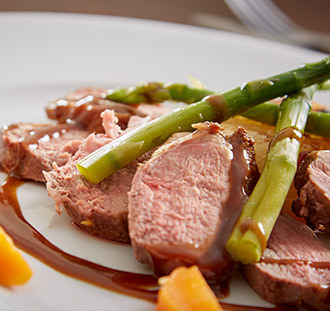 The fairways have matured and are softer underfoot and golfers can enjoy the tranquil surroundings, variety of scenery and the range of wildlife which has adopted the golf course as its home. 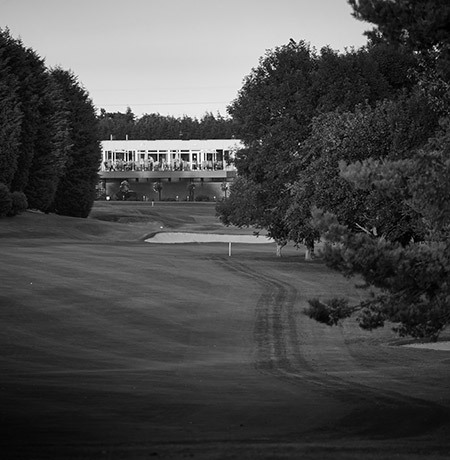 The next thirty years at Raywell will doubtless see the improvements and adjustments necessary to ensure that Hessle Golf Club remains one of the best courses in East Yorkshire, continuing to attract regional and county events for men, ladies and juniors. The golf course and facilities are second to none, and the secluded location makes it the perfect place for a relaxing round. 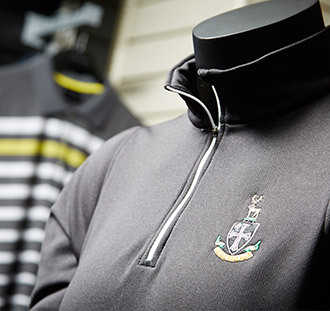 With a clubhouse experience to match, there really is no better place to enjoy golf.